Devi hides in the shadows because she doesn't want anyone to see what she looks like. She's incredibly talented. She can sing beautifully and she writes the most amazing operas, but when people see her they are horrified. Devi's father loves his daughter very much and promises Devi there's a way out of her situation. If she's patient, then one day she'll have everything she's ever wanted. Is he telling her the truth? Fawn is an orphan. She never expected she could have a worse life than the one she was living at the orphanage. However, she was kidnapped and she's forced to sing in an opera house while being held captive. Fawn knows she looks stunning and wants to use her allure to get out of her situation. She's mean to Devi, who could have been like a sister. Fawn uses people, she sees them as pawns. This includes Devi's loved ones. Fawn is ruthless and wants nothing more than to escape, but to do so she needs help. Time is running out, will she find someone who can free her or will there be no way to liberate herself from the destiny that's been set out for her? Winter's Siren is a creative story based on Swan Lake. It's a story about beauty, both on the outside and the inside. Devi's father wants his daughter to shine and he's found a way to do this. Devi doesn't want anyone to see her, because of how she looks. She's a sweet girl, but most people don't look past her face and will never notice the talented kindhearted girl she is within. Fawn is much loved by most because of her voice and her stunning appearance. However, Fawn is a tough survivor and she's mean. I could imagine why to a certain extent, as she hasn't known much love and always had to rely on herself, but I kept hoping there would be more in her heart than just ice. The girls couldn't be more different and it was interesting to see what would happen to them and how their story would unfold. Krystal Jane Ruin has written a captivating modern fairytale. I loved the magical element, the mysterious opera house and the constant feeling something is going to happen. 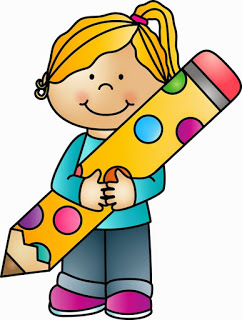 Her vivid descriptions of her main characters and their surroundings are making her story come to life in a fabulous way. I was fascinated by the way she lets the plot unfold and discovering the secret Devi's father was hiding from his daughter and Fawn kept me on the edge of my seat. I love stages and reading about the opera house put a big smile on my face. 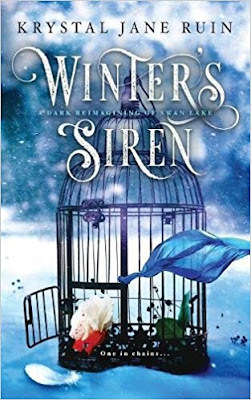 Winter's Siren is an amazing enchanting and entertaining story with a poignant shocking ending. If you love fairytales about magic, beauty and tricks you will definitely like Winter's Siren. 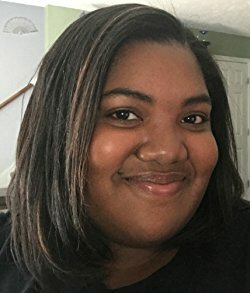 Krystal is the author of supernatural and paranormal fiction, living in the Tennessee Valley with a collection of swords and daggers. When she's not hoarding stuffed pandas, hourglasses, and Hello Kitty replicas, she can be found in a YouTube hole or blogging about books, writing, and random things at KrystalSquared.net. 1) Can you tell a bit about yourself? A lot of people don't know that I sew. I've mostly made tote bags and costumes and mended things. Some projects are a lot of work, but it's always so satisfying. Another thing I rarely talk about is how many notebooks full of song lyrics I have. I've been writing lyrics since middle school. Most of them are terrible, but they all carry so many memories. 2) Could you describe the main characters of Winter's Siren in five words each? 3) What's the inspiration behind the magical aspect of your story? I wanted it to be subtle and dark like something you would find in a fairytale. I particularly like the kind of magic present in The Little Mermaid - where it's dark, deceptive, and under the surface of everything, even when you can't see it. Maybe even especially when you can't see it. 4) What's your favorite fairytale and why? The Twelve Dancing Princesses! I've always loved how mysterious it is and how lavish the underground kingdom is. I have a fascination with extravagant ballrooms and gowns. Every time I read it, I feel transported to the point I almost wish I could live there. 5) You've written a story about beauty, both inside and out, how did you get that idea? My intention was for the story to be all about Fawn and the music and her desire for freedom. But in brainstorming, I naturally spent a lot of time thinking everyone else and what their motivations were. The more I thought about Devi, the more I wanted to know about her, what her past was like, how she felt about Fawn. How Fawn felt about her. I couldn't stop thinking about how similar and different they are from each other, and it kind of turned into this entirely different thing on me. So, I guess the idea kind of spawned from the characters themselves. 6) What's your opinion on good versus evil, it's a much described topic, but it's rarely black or white, how do you explore the grey in between? This is such a good question! For me, the grey area is always so interesting. Sometimes when we think of villains, we imagine them standing on top of mountains, ranting and throwing lightning bolts at people, trying to burn the world down just because they can. But oftentimes, the villain is someone who is doing something terrible for what they think is a good reason. It's like the guy who thinks he's Robin Hood. He's robs people in fancy clothes so he can provide for his family, but he's breaking the law and terrifying people. Yet, when he goes to bed at night, he reconciles his actions with the smile he sees on his daughter's face when he can give her a cake on her birthday. She's happy and healthy, and that makes it worth it. It's fascinating how someone can be a hero to one person and a complete terror to someone else. 7) Your covers are stunning, can you tell a bit more about the selection process? Thank you! I think my cover designer is amazing. For Winter's Siren, I always wanted a cage on the cover. We talked through a few of the ideas I had, then she helped me narrow them down and came back with two mock ups. One had a girl standing in a cage, and the other one is the one I chose. I loved them both, but when I saw the second concept, I had to have it. I felt like it better captured the emotion and fairytale-ish feeling of the book. 8) Where do you read and where do you write? I read everywhere! At my desk. In bed. During downtime at work. Sometimes I curl up on the couch. I even read ebooks in the shower! My desk is in this comfy corner in my living room, and I pretty much only write at my desk, unless I'm on vacation. Or just taking notes. 9) What do you like the most about writing fantasy? There are so many possibilities! I love being able to sit down and imagine crazy things and bring them life. And because the world isn't "real," I feel like I have more freedom. And not just with the content. Fantasy feels like a safe place to spill my guts, in a sense, because maybe there's a cool sword fight with a phantom on the same page. I don't feel like anyone is staring at me. 10) What are your plans for the future? Short term, I want to take a trip somewhere fun and visit a cool museum. A bit longer term, I want to get better at writing music. It's so hard! But I think it's good to have something creative to do between projects when I'm not writing as much. 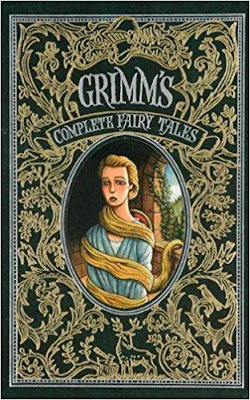 One very lucky reader of With Love for Books will receive a hardcover copy of Grimm's Complete Fairy Tales (Leatherbound Classic Collection) from Krystal Jane Ruin. Sounds like a beautiful fairytale. I'll have to read (or re-read?) "The Twelve Dancing Princesses"! What a very generous prize, my children grew up on Grimm's fairy tales so this is an extra special prize for us. I love the sound of this novel, it sounds very interesting and compelling. I would TREASURE this book and share it with my grandchildren. I used to lose myself for hours as a child in Grimm's Fairytales. Those stories fed my imagination and served as inspiration for bravery and good winning over evil. This sounds like a wonderful magical story, can't wait to read this. Gorgeous cover and wonderful giveaway. Thanks so much. Thank you Krystal Jane Ruin for hosting this giveaway! Winter's Siren sounds dark, eerie, beautiful and with a touch of magic that will pull at the heartstrings and leave a bittersweet sense of longing behind. I have only just signed up for the newsletter but I wish I had seen it before. 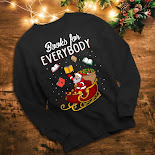 The whole blog is fabulous, well done. 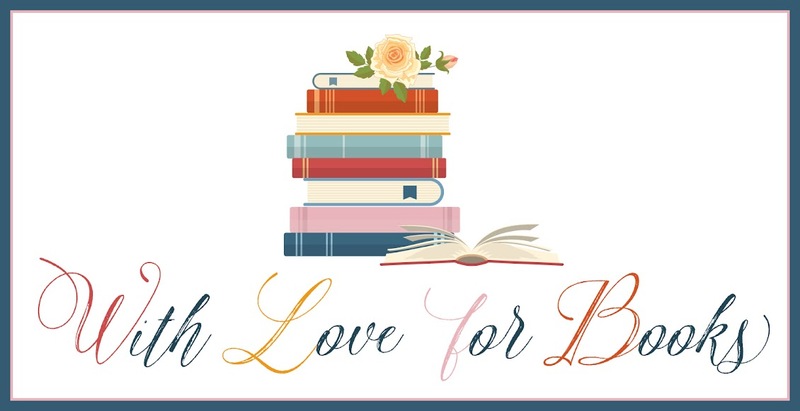 I have come to your through With love for books and I am so glad I did. I loved Grimms fairy tales when I was younger and would love a copy to read to my grandchildren. I love tales where good vs evil.It sounds like a great read. the cover tells me this is a tale right up my alley, would love to read this!! beauty - "in the eye of the beholder", "on the outside" "on the inside", subjective, photo-shopped, Instagram filters - it's an interesting subject to have as a thread in your book. I will have to read this. Grimm's Fairy tales are must read. I've already read them and would love to have a copy so I can pass it on to my daughter. Thank you. thanks for this Krystal Jane Ruin. We love fairy tales, my daughters would enjoy this. What a beautiful book - I'd love to share this with my children! 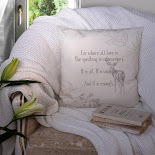 Beautiful book to treasure,such a fabulous giveaway.Thankyou. I like that the magic in the story is subtle & dark. Une superbe couverture et une histoire qui me donne bien envie !!!! Sounds like a really interesting read! Right up my street and I'm always looking for new authors to try. I love the Grimm fairytails. Loved the series as well, absolutely gutted when it ended! I adore Grimm's fairytales!!! :) Sounds great!